Sorry we have been kind of bad at getting these pictures online. 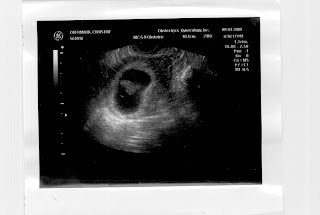 These are pictures from Twinkles ultrasound which was at the beginning of September. So Twinkle is a lot bigger than this now. This is a frontal picture. The arms and legs are just beginning to form. This picture is roughly the same as the one up a above. I think this one is from the side. 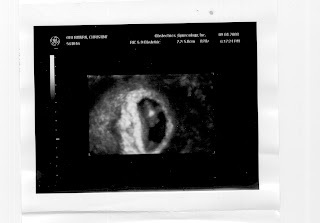 Looks like a blob to me. So do we know what it is ?? Ummm you forgot to take the swing.. 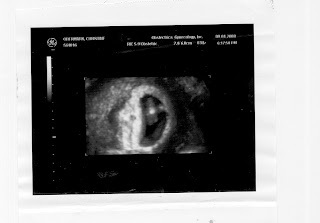 It looks like a boy! !